Here’s what’s happening in the world of television for Monday, March 18. All times are Eastern. 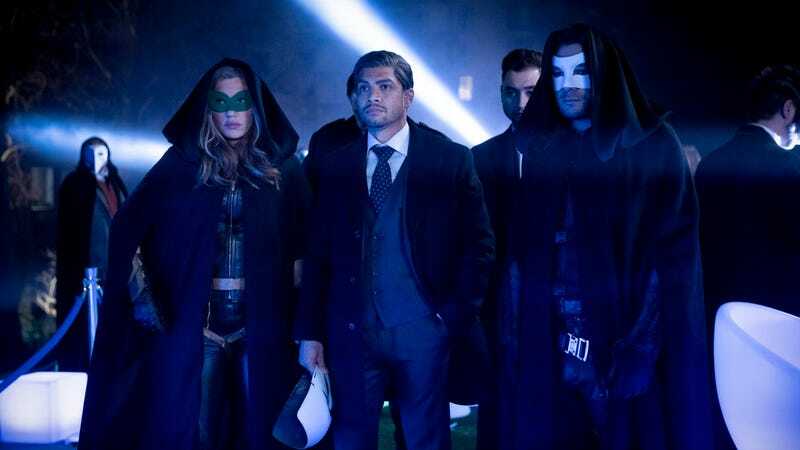 Arrow (The CW, 8 p.m.): Arrow’s mostly successful seventh season has been all about embracing change and looking to the future, perfectly epitomized by the season’s use of flash-forwards, instead of flashbacks, as is typical for the show. Tonight that’s taken a step further with “Star City 2040,” an episode largely set during the timeline established in those flash-forwards, where future-William and Mia go on a mission to the Glades, and Rene/Wild Dog gets old man hair. Allison Shoemaker is standing by to recap. Black Lightning (The CW, 9 p.m. second season finale): The stakes are high once again for the Pierce family as they head into tonight’s finale. The last episode ended on a bit of a cliffhanger, with Jennifer being incapacitated due to an energy overload from her half-finished super-suit. The finale—titled “The Book Of The Apocalypse: Chapter Two: The Omega”—will find Gambi risking his own life to save Jennifer’s, while Lynn goes head to head with Dr. Jace, and Tobias tries for the one millionth time to kill Black Lightning.